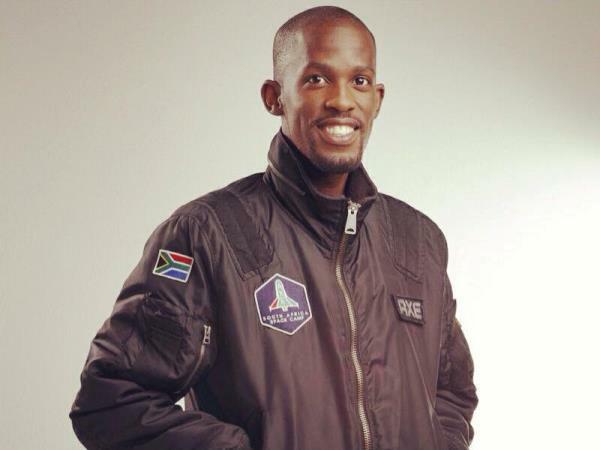 No one in Mandla Maseko's family has ever stepped outside South Africa, but the young township DJ is set to rocket into space next year. 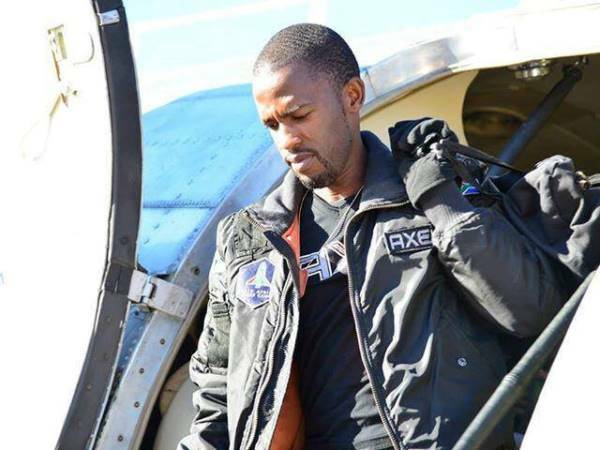 From the dusty district of Mabopane, near Pretoria, 25-year-old Maseko has landed a coveted seat to fly 103-kilometres into space in 2015, after winning a competition organised by a US-based space academy. He beat off a million other entrants from 75 countries to be selected as one of 23 people who will travel on an hour-long sub-orbital trip on the Lynx Mark II spaceship. The former civil engineering student -- who was forced to put his studies on hold because he could not pay the fees --will experience zero gravity and a journey that normally comes with a $100 000 price tag. Unless a rich black African books a tourist space ticket and blasts off before next year, Maseko will become the first black African to enter space. The "typical township boy", who still lives at home with his parents and four siblings, was named one of the winners on December 5, only a few hours after the death of the country's first black president, Nelson Mandela. He said he immediately thought of such "firsts", not only Mandela but also Barack Obama, the first black president of the United States. In his exhilaration, he also imagined a conversation with Mandela. "I have run the race and completed the course, now here is the torch', " Maseko thought the president would have told him. " 'Continue running the race and here's the title to go with it, go be the first black South African to space'." His improbable journey from a middle-class township to the thermosphere began with a leap from a wall. The initial entry requirement for the competitors was to submit a photograph of themselves jumping from any height. His first choice was the roof of his parents' three-bedroom house but his mother Ouma said "no", fearing it was too high and that he would break his legs. He settled for the house's two-metre (more than six feet) perimeter wall and a friend captured the feat using a mobile phone. The picture has helped propel Maseko, who works part-time as a DJ at parties, to new heights. He finally secured his seat on the rocket after gruelling physical and aptitude tests in the contest organised by AXE Apollo Space Academy and sponsored by Unilever and space tourism firm Space Expedition Corporation (SXC). It was a dream come true for a man from a humble background. His family says they never doubted the one-time altar boy at a local Anglican church, who now sings with a local township gospel choir, would be a high-flier. "While I was pregnant with Mandla, I knew I was going to give birth to a star," said Maseko's mother. His 18-year-old sister Mhlophe agrees: "I don't know what comes after space. I'm sure if there was something he would go." Born to a school cleaner and an auto tool maker in Soshanguve township near Pretoria, Maseko has neighbours high-fiving him for putting South Africa's townships on the "galactic map". His long-term plans are to study aeronautical engineering and qualify as a space mission specialist with the ultimate dream of planting the South African flag on the moon. South Africa's Science and Technology Minister Derek Hanekom sees Maseko "as a role model to the future generation of space professionals and enthusiasts." His experience could not have come at a better time "when Africa is gearing up its space ambitions" as host to the world's biggest and most powerful radio astronomy telescope, said Hanekom. The director of that project, Bernie Fanaroff, also hailed young Maseko as an ambassador for science. "Anything that raises the profile of science up there must be good because it brings to the attention of young people what they can achieve in science and engineering." Curious young neighbours often stop Maseko's 13-year-old sister Mantombi on her way home from school and ask, "What is space? what is space?" "A very unique place," she tells them. "Space is a very special place." Maseko spent a week at the Kennedy Space Academy in Florida where he skydived and undertook air combat and G-force training. While there he met and posed for pictures with US astronaut Buzz Aldrin, who was the second man ever to set foot on the moon after Neil Armstrong as part of the 1969 Apollo 11 space mission. For Maseko, the encounter was magical. "This is how it feels to be out in space," he recalls thinking.